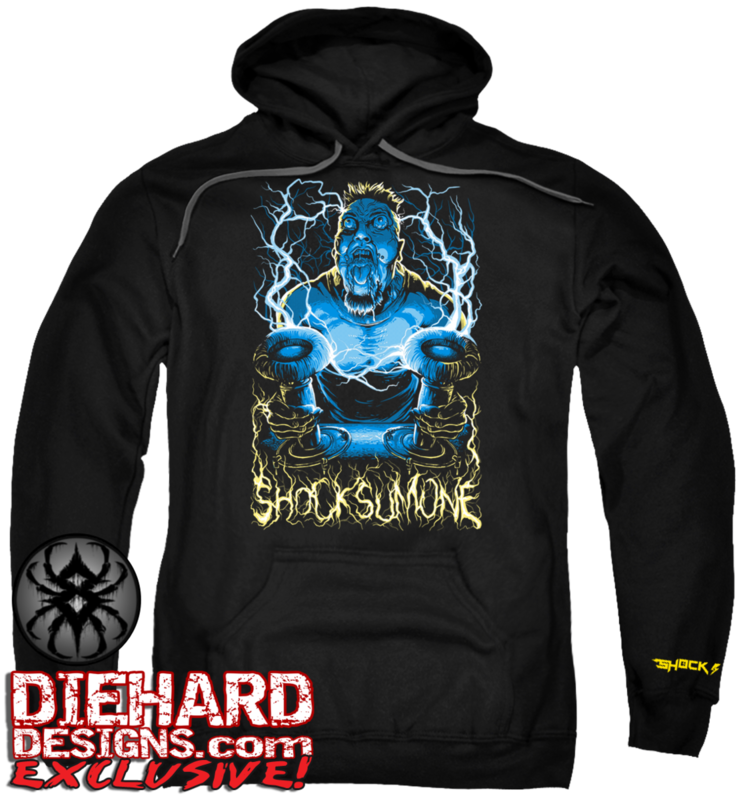 This sick, original piece is born from the efforts of a Trifecta of Talents - ShockSumOne + Mr. 8 Legz Creations + Diehard Designs. Our respective powers combine like toxic chemicals to melt your mind! Our Featured Artist here is Mr. 8 Legz. 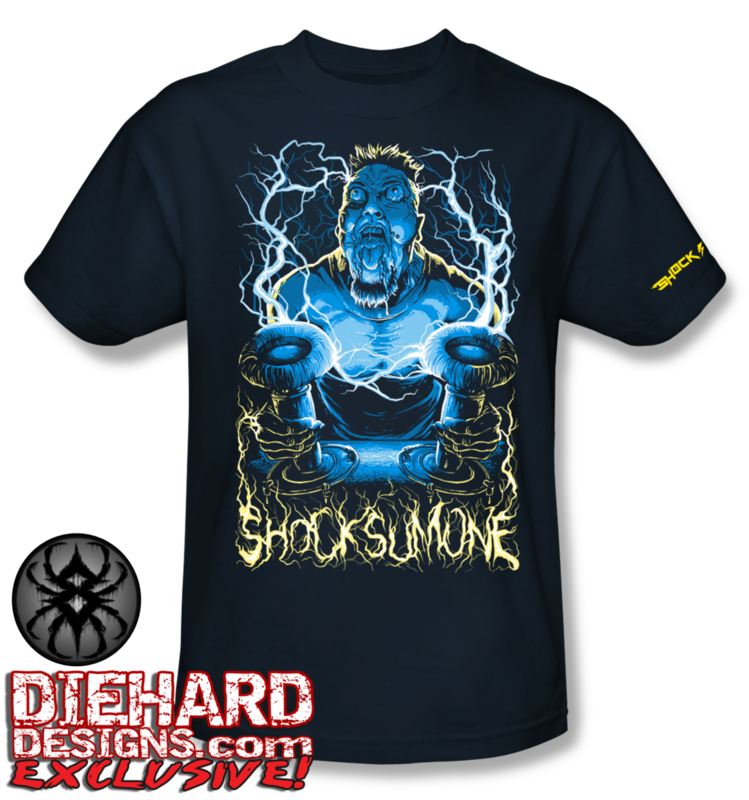 He truly killed it...finally portraying The Shockzilla perfectly in all his electrified glory! 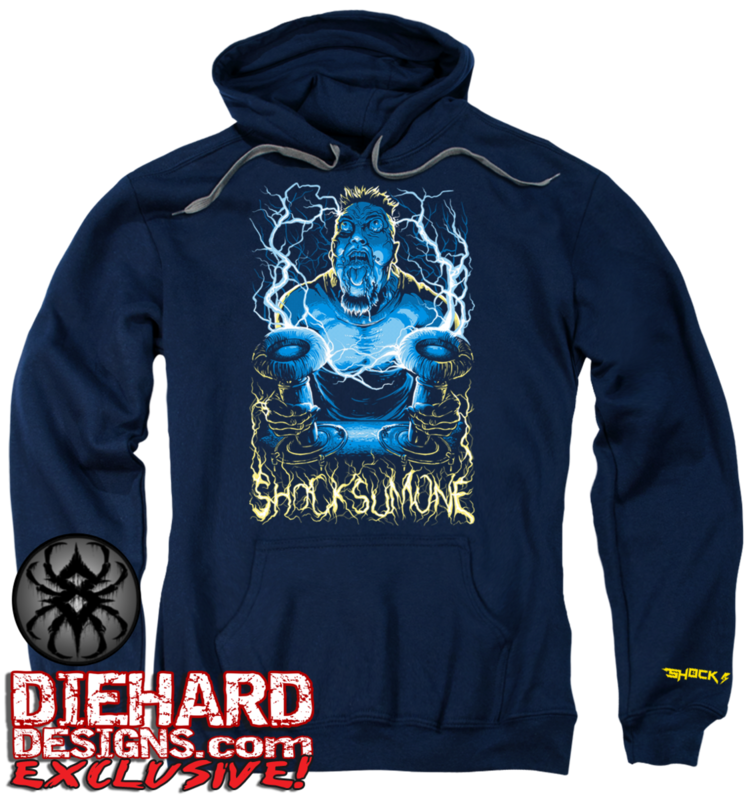 This Diehard Designs Exclusive depicts "The Raiden of Rap" getting a lethal dose of energy so powerful that he cannot let go...he's foaming at the mouth and his eyes are about to burst! You can feel the power pulsating through this scene! 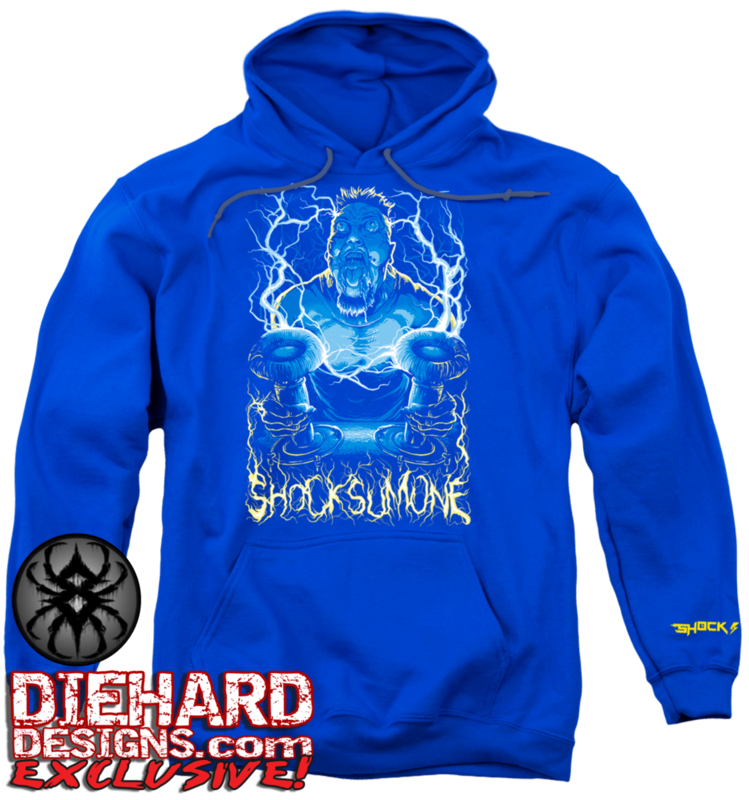 Don't sleep on America's Most Slept On...or you might get SHOCKED 2 DEATH! 100% Cotton High Quality Pre-Shrunk Machine Washable T-Shirt & 75/25 Hoodie with Full Color Print on Chest, a Yellow Sleeve Print, & Yellow Back Neck Print on T-Shirts or Yellow Print on Hood Crest. Designed & Printed in the USA. Check out Shock's website at www.shocksumone.com!